The federal government is stepping up its commitment to the Salton Sea and exploring the possibility of buying geothermal energy from the Imperial Valley, in a series of moves that could help fund restoration projects at California's largest lake and maybe pave the way for a multi-state agreement to use less Colorado River water. The unveiling of those initiatives is timed to coincide with President Barack Obama's trip to Lake Tahoe on Wednesday afternoon, for the 20th annual Lake Tahoe Summit. Today, President Obama will speak at the 20th Anniversary of the Annual Lake Tahoe Summit about the importance of partnerships and innovation in tackling our shared climate and conservation challenges. Today, the Administration is also announcing a package of actions to marshal strong partnership and innovation in support of the communities surrounding the Salton Sea, California’s largest lake, which is facing a tipping point in environmental degradation. 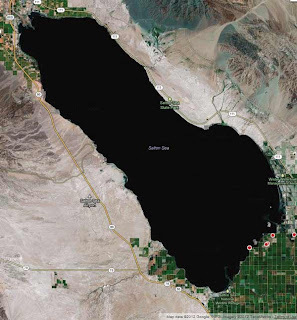 The Federal Energy Management Program Office at the Department of Energy has announced a request for information on the availability of new construction geothermal electricity in the Salton Sea area to serve regional federal load. The purpose of the request is to gather industry input on options available to the federal government for a potential aggregated power purchase of 100 MW–250 MW of new construction geothermal electricity generated in the Salton Sea area, within Riverside and Imperial counties, California, for delivery over a ten-year or twenty-year contract period to serve regional federal load. Interested parties are to submit comments electronically to Tracy (Logan) Niro. Please include "August 2016 Geothermal RFI" in the subject of the message. Written comments and information on the request are requested on or before Sept. 29. One means of facilitating the development of new renewable resources is through the use of long-term power purchase contracts, whereby a third party funds, develops, operates, maintains and owns a renewable energy project, and a federal agency (or other customer) commits to purchase the energy, capacity and/or renewable energy certificates (RECs) from the project owner. For the purposes of this request, new geothermal resources are defined as those which are not in service as of the date of this request. The Energy Department (DOE) today announced $29 million in funding under the Frontier Observatory for Research in Geothermal Energy (FORGE) program for projects awarded to teams at Sandia National Laboratories and the University of Utah. The funding will be for each team to fully instrument, characterize and permit candidate sites for an underground laboratory to conduct cutting-edge research on enhanced geothermal systems (EGS). The Sandia team will be working on a site in Fallon, Nevada, and the University of Utah team will be working at a site in Milford, Utah. The Energy Department, with the support of the National Energy Technology Laboratory (NETL), awarded funding to these two teams after a competitive first phase of research to evaluate potential EGS underground research sites. The candidate sites announced today in Nevada and Utah will use this new funding to prepare for the competitive third phase of the FORGE effort, which will designate one of the sites as the headquarters for the future underground field lab. 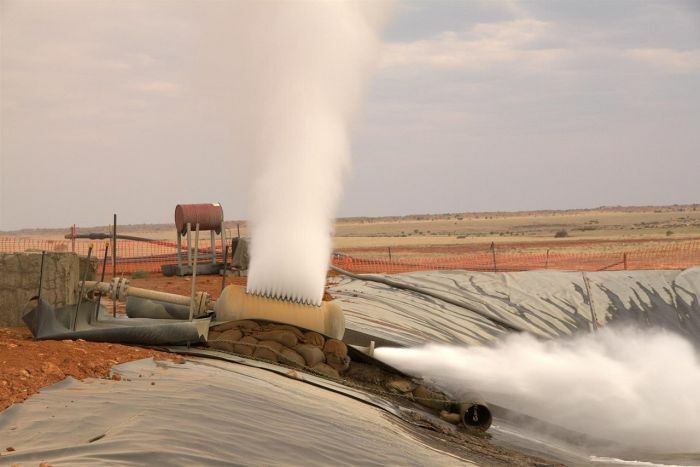 Preparations are underway to begin drilling of 12 geothermal wells at Airobera, Alelobeda and Dubti areas in Afar Regional State, said the Geological Survey of Ethiopia (GSE). Tamiru Mersha, Communication Director at GSE, said drilling of the 325 MW wells will begin this Ethiopian budget year. According to him, six wells will be drilled at Airobera and Alelobeda with the financial and technical assistance of Geothermal Risk Management Fund (GRMF) and the government of the Japan. The Ethiopian Electric Power (EEP) and the Geological Survey of Ethiopia (GSE) will jointly drill the remaining six wells at Dubti with a 16.4 million Euros support obtained from the African Development Bank (AfDB), he added. Misión de la Agencia de Cooperación Internacional del Japón (JICA) concluyó visita de dos semanas en Guanacaste y San José. Recursos son parte del préstamo concedido para proyectos geotérmicos, a 40 años plazo y una tasa de interés del 0,6%. Nueva planta contará con 55 megavatios capacidad y operará a partir de 2023. A mission of the Japan International Cooperation Agency (JICA) has concluded a two-week visit to Guanacaste and San Jose. A loan to develop geothermal projects was announced with a 40 year term and an interest rate of 0.6%. The new Borinquen I geothermal plant will have 55 megawatt capacity and will begin operation in 2023. The Philippines Department of Energy (DoE) expects the country’s demand for electricity in 2030 to reach 30,189 MW, or nearly 70% more than the current dependable capacity being supplied by the country’s existing power plants. During the Senate hearing on Aug. 19, Energy Secretary Alfonso G. Cusi said the DoE’s “very raw study” had estimated the country’s demand by 2030 to grow by 10,191 MW more, assuming a gross domestic product growth forecast of 5% and a population growth of 1.5%. The new estimate builds a case for new baseload power sources, which are currently supplied mostly by coal-fired power plants. “Baseload is the foundation,” Mr. Cusi said, citing figures that showed 73% of the committed projects and nearly 84% of the required capacity to be coming from reliable power resources that include coal-fired power plants, geothermal facilities, biomass and nuclear, which has now become an option. Drilling Platform is ready to receive the Geysir Drillmec HH200S Rig. Brilliant "mise en place" from the Government of Montserrat. Special thanks to the Public Works Department (PWD) for the execution and the UK Department for International Development (DFID) for funding and believing. Acknowledgments to all contractors, agencies and individuals involved in this milestone. Now, a warm welcome to Iceland Drilling Company (IDC) and the Geothermal Resources Group (GRG). Let´s keep this work team and start this new milestone to drill a challenging MON#3 well. The international geothermal community is waiting for this Montserratian and Caribbean endeavour. Chairman of Dominica's Geothermal Negotiating Team Vince Henderson says the advancement of the country's geothermal project is one of the main reasons he is on island at present. Henderson says he has been involved with the country's geothermal development from its inception, as he was tasked with that portfolio by then Energy Minister Reginald Austrie. During his 2016/2017 National Budget Address, PM Skerrit announced 46.3 million dollars had been allocated towards the construction of a 7 MW geothermal plant in Dominica for a 2-year period. To date, government has spent over 80 million dollars in exploring Dominica's geothermal potential. State utility company Perusahaan Listrik Negara (PLN) plans to buy 50 percent interest in Pertamina Geothermal Energy, a wholly owned geothermal unit of state energy company Pertamina, by the end of this year. PLN, the country's only buyer for all electricity, must be involved in decision making for Indonesia's largest geothermal company to accelerate development, the government has argued. "The Energy and Mineral Resources Minister Rini Soemarno wanted this acquisition to be done this year. This is her corporate decision," said Sofyan Basyir, the president director of PLN. He did not disclose the price of the acquisition. Sofyan added that the acquisition would eventually reduce prices PLN needs to pay for Pertamina Geothermal Energy's steam, and in turn, would reduce overall energy cost. Some Pertamina Geothermal Energy's projects in the past was shafted due to PLN's refusal to commit on buying the former's steam due to high pricing. The region could benefit from the new financing models available for the sector, according to a recent study. In a world with an increasing need for clean energy alternatives, geothermal power is attracting attention thanks to the benefits it offers when adequately developed. It can generate electricity with less environmental impact and at a lower cost than fossil fuels such as oil and coal. And since it is a renewable energy source, it can help ensure the security of the electric power supply. Despite these benefits, the difficulties and costs of launching operations are considerable. These can cause delayed or interrupted projects, as have occurred in some parts of Latin America and the Caribbean, according to the study Comparative Analysis of Approaches to Geothermal Resource Risk Mitigation: A Global Survey, by ESMAP, a global fund administered by the World Bank to assist countries in developing clean energy projects. 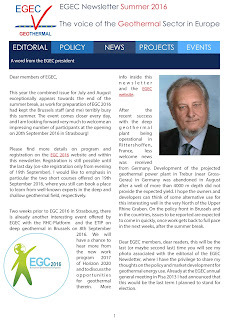 The summer issue of the EGEC Newsletter is now available. Overview of projects supporting the market update of efficient and renewable Heating and Cooling technologies. Procurement notice issued for the Turkey Geothermal Development Project focusing on development of risk sharing mechanisms, and financing for exploration/ early development phases. New EBRD financing for Turkish renewables. Thailand will reduce its production cost of electricity with the inception of a geothermal power plant in Chiang Mai- the first of its kind in Southeast Asia. This comes after the kingdom’s government sought to look for alternative sources of electricity production other than oil and coal. Its geothermal power plant can produce 1.2 mil units of electricity per year and is located some 150 kilometers away from the city center. While this type of energy may not replace all sources of electricity, it can reduce Thailand’s production costs of electricity. A just-released study on electricity demand details the view held by many energy observers that demand will continue to grow in New Zealand, unless the Southland aluminium smelter closes. This Energy Outlook article explores the long-term future for electricity in New Zealand using scenario analysis. Based on this analysis, we present key insights for investors, grid planners, policy makers and consumers. It presents modelling results to 2040. Access to New Zealand’s low-cost geothermal resource is likely to be a key factor in limiting wholesale price increases. Generators, land owners (including iwi) and government will need to continue to work together to maximize the economic, environmental and cultural benefits from geothermal resources. The Oregon Department of Energy is making $2 million in tax credits available for new renewable energy projects. The new energy conservation incentives specifically back renewably sourced thermal energy projects that use solar, geothermal or biomass directly — as long as that energy is not converted into electricity. Geodynamics achieved small-scale electricity generation at its Cooper Basin sites. "The technology worked but unfortunately the cost of implementing the technology and also the cost of delivering the electricity that was produced to a market was just greater than the revenue stream that we could create," Geodynamics chief executive Chris Murray said. Professor Martin Hand ran the South Australian Centre for Geothermal Energy Research at the University of Adelaide. "I think it was talked up too much — it's a very nice concept on the front page of a newspaper, looks very easy to do, and I think it was over-spruiked [~ Repetitive promoting of an achievement or occurrence to the point of nausea and disinterest, particularly by a Government]," he said. "If we could see [geothermal] as some kind of national resource, and therefore it's some kind of national research project, there is a vast amount of energy that could be potentially unlocked." Geothermalist Features in New Toy Collection! LEGO has partnered with the South American scientist and National Geographic explorer, Andres Ruzo - a GRC Member - for its latest LEGO City play-set. Reno, Nevada based ElectraTherm, has announced that its Power+ Generator™ 4400 commissioned in April 2016 in the city of Beppu, Japan has exceeded 3,000 of operational runtime. The Power+ runs off low temperature geothermal steam from a small district heating system. As the Power+ generates power, it also provides cooling with zero environmental impact or imposition on the onsen’s primary function as a community resource. The power generated is sold to the local utility at an attractive feed-in-tariff rate for renewables. ElectraTherm utilizes Organic Rankine Cycle (ORC) and proprietary technologies to generate up to 110kWe of electricity from low temperature water ranging from 77-122°C. At this site, the onsen provides varying flows of geothermal steam at approximately 110°C. Unlike other renewable sources, geothermal heat is baseload, providing a continuous hot water flow with power generation capabilities 24/7. Hot geothermal water is the fuel used to create a high pressure vapor that expands through ElectraTherm’s patented twin screw power block, spinning an electric generator to produce clean electricity while simultaneously cooling the water up to 20°C. The heat generated by tube trains, industrial machinery and geothermal energy could be utilized to provide warmth to thousands of homes in the UK. This is part of the government-backed plans to expand "heat networks". About 80% of the UK homes are currently heated by gas-fired boilers. However, these are required to be replaced by greener sources to allow Britain meet its climate change targets, which require a reduction in carbon emissions by 2050. Hence, more than 30% of local authorities in England and Wales are now said to be drawing up new greener schemes for heating homes in the country. Some of the new schemes are said to be aimed at making changes to these heat networks, which transport hot water or steam through insulated pipes to provide warmth to homes. An example would be that in Stoke-on-Trent, where plans are being developed to use renewable geothermal heat from deep underground. The council here is also said to be considering the option of recycling heat from pottery kilns from the ceramics industry. This is your opportunity to work within our team of leading geothermal industry professionals. Our Geothermal Resources team, explore, develop and manage geothermal resources to ensure their long term sustainable use. As the Reservoir Modelling Engineer you will develop and use geothermal reservoir models to provide insight into future reservoir performance. We are looking for someone who can take the lead and further enhance our reservoir modelling capability. Key responsibilities of this role include promoting the use of geothermal reservoir modelling tools across the Geothermal Resources and Development team and interacting with contractors providing specialist geothermal reservoir modelling services to ensure that their outputs are appropriate to meet Contacts requirements. Your expertise will provide guidance to system management and our future geothermal investment strategy. The successful candidate will have strong analytical and research skills with the ability to initiate discussion based on findings. You will be someone who has an advanced understanding of geothermal reservoir modelling techniques with skills and experience in commercially available modelling tools such as (TOUGH2, MULGraph, PetaSim, PyTOUGH, ARANZ Geo, etc). You will be degree qualified and a relevant post-graduate qualification in Engineering, Geoscience or Applied Mathematics is highly desirable. Applications close 5pm, Monday 12th September 2016. For more information e-mail resourcingteam@contactenergy.co.nz or call Jenny MacDonald on 04 462 1163. Mercury director Mike Allen has advised that he will step down from the company’s Board on 3 November 2016, after seven years’ service. Chair Joan Withers says during Dr Allen’s time on the Board the business has evolved significantly. 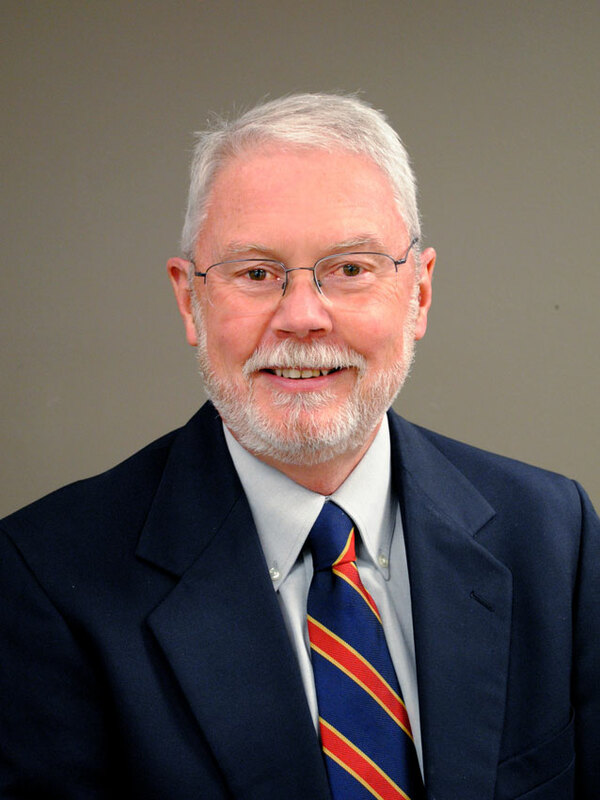 His deep expertise in geothermal development had seen him play a key role in both the company’s domestic and international geothermal programs. During his tenure Mercury completed two major geothermal developments in New Zealand which have contributed to geothermal growing to become New Zealand’s second-largest electricity fuel source. Mrs Withers says the company has no immediate plans for further geothermal development in New Zealand and decided to exit its international geothermal development interests following a review of investment priorities in 2013. Visiting Japanese Prime Minister Shinzo Abe has announced a bold new African infrastructure plan worth US $10 billion over the next three years to be implemented by the African Development Bank (AfDB), raising the stature of the Abidjan-based financial institution in achieving Africa's development. The infrastructure investment package announced by the Japanese Prime Minister will focus on modernizing electricity, power and urban transport systems in order to improve the connectivity of Africa. The Japanese Prime Minister said the support package aims to increase the electricity generation capacity by 2,000 megawatts as well as increasing the geothermal power generation using Japanese technologies. 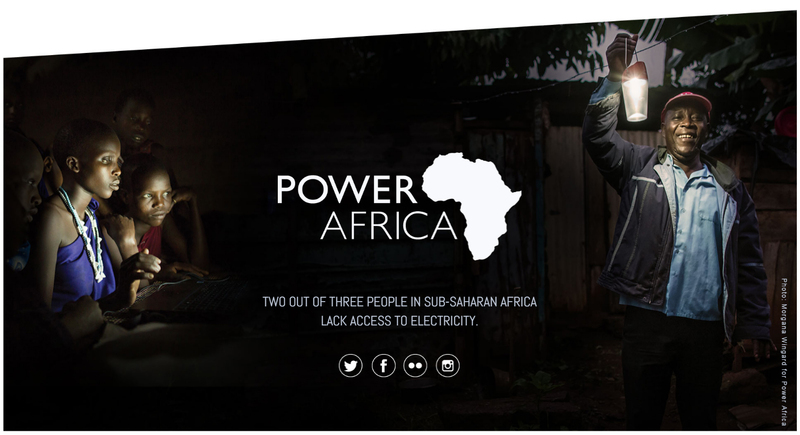 The increased power generation capacity is focused to reach 3 million households by 2022. Geodynamics of Milton, Queensland, Australia has provided a company update and further explanation on the Preliminary Final Report and Audited Financial Report for the year ending 30 June 2016.
set. Plans for the final well barrier, surface plug and well cap for Habanero 3 and 4 are in place and will be executed once the monitoring period is successfully completed. The remaining surface remediation of the Cooper Basin site, removal of power lines and the transfer of various operating assets to third parties is expected to be completed this calendar year. Geodynamics has implemented the exit of all interests in the Pacific Islands geothermal projects. Japan’s Toshiba Corporation has signed a memorandum of understanding (MOU) with Uganda’s Ministry of Energy and Mineral Development (MEMD) on a comprehensive partnership in geothermal power. The agreement will see the parties collaborate in power generation projects, including personnel development, according to statement released Sunday by the energy ministry. Toshiba will collaborate in the development and supply of major equipment for a geothermal power plant, create operation and management guidelines, and cooperate in personnel development, the statement said. Toshiba American Energy Systems Corporation (TAES) will be exhibiting at the GRC Annual Meeting & GEA GEOEXPO+EOEXPO+, October 23-26 in Sacramento, California, USA. Twenty-two Japanese companies and organizations, including Toyota Tsusho Corp., concluded Sunday a total of 73 memorandums of understanding with African governments, businesses and others on providing financial and technological assistance. The deals, signed in the Kenyan capital of Nairobi, will cover projects including geothermal power generation and urban transportation system development. Toyota Tsusho, a trading house, concluded memorandums of understanding with the governments of Kenya and Ethiopia to strengthen cooperation in ground surface surveys for the development of geothermal power generation. From the early stages of development, the company will provide the two countries with proprietary technology that raises the success rate of test drilling. The winners will be announced at the GRC Annual Member Meeting and Awards Luncheon, the climax to the 40th GRC Annual Meeting & GEA Geothermal Energy Expo being held in Sacramento, California, USA from October 23-26. The theme for this year’s meeting is “Geothermal Energy, Here and Now: Sustainable, Clean, Flexible”. 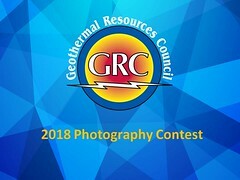 More information on the GRC Amateur Photo Contest, including a submission form, can be found on the GRC website. The deadline for submissions is September 16, 2016. That’s according to scientists from the Colorado School of Mines who presented results from their summer-long study in Rico on Thursday night. 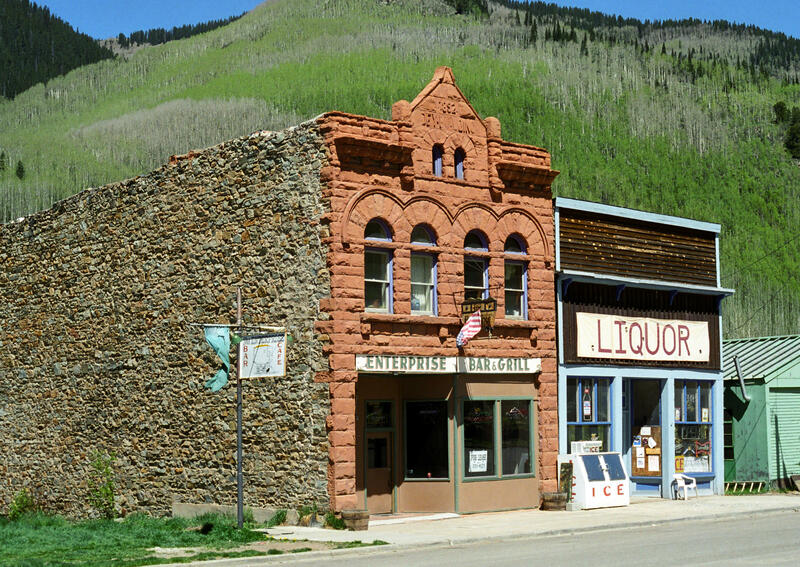 GRC Member and Geologist Paul Morgan and economist Becky Lafrancois studied the geologic and financial aspects of a possible hot springs resort, commercial greenhouse operation, and downtown heating system. Morgan said all three options were feasible based on the temperature, depth, and quality of the water, but the cost of drilling and infrastructure would be steep. Lafrancois estimated start-up costs for all three options at more than $500,000. Committee member Matt Downer said after the meeting that the community will digest the findings and decide how to proceed. The concept behind CEO Aaron Mandell Mandell’s startup, Quidnet Energy, sounds simple: pumping water deep into the earth to fill up the cracks in-between rocks that previously held fossil fuels. When the pressurized water is released, it acts like a spring as it races through a turbine-generator above ground, powering it to produce electricity. Quidnet plans to run another pilot project, this time at an old geothermal well in northern Nevada. The well is 14 inches in diameter, larger than a typical oil and gas well, making it possible to inject a higher volume of water – and generating more power faster – at any time. The reservoir can hold up to 85k barrels of water, and produce 10 hours of electricity following a 14-hour charge. The new pilot project will store electricity from the Blue Mountain geothermal power plant in Nevada run by AltaRock Energy, where Mandell is also CEO. The power plant sells electricity to NV Energy, the largest utility in Nevada. Ultimately, Quidnet hopes to build its own wells in locations with a high demand for energy storage. Each of its projects will operate up to 20 wells, with each well measuring between 1000-5000 feet deep and capable of storing 35 megawatt hours of energy. The company is also working on software for automating a storage project’s operation so that a project owner can run it remotely. Aceh province’s chief has asked Jakarta to rezone part of Mount Leuser National Park so that a Turkish company can develop the area. Aceh Governor Zaini Abdullah has written to the Environment and Forestry Ministry in Jakarta, asking for part of the core zone of Mount Leuser National Park to be rezoned for geothermal development. The plan is for Turkish company PT Hitay Panas Energy to explore the area for geothermal resources. Hitay intends to invest billions of dollars in geothermal projects across Indonesia. The local administration is set to hold a tender for investors to develop a geothermal power plant in Graho Nyambu, Merangin regency, Jambi. Regent H. Al Haris said on Thursday that the Energy and Mineral Resources Ministry had opened up opportunities for investors to develop the area. He expected the tender to be held immediately. According to Haris, geothermal energy in Graho Nyambu had the potential to generate approximately 200 MW of electricity, meaning the program could light up villages across the regency. The Merangin administration is currently making efforts to achieve energy self-reliance through the power supply program. European and Mexican Earth scientists, including some from the University of Utrecht and the Netherlands Organisation for applied scientific research or TNO, have started Gemex, a project aiming to understand the potential of geothermal energy. The Gemex Project is an international collaboration between the EU and Mexico in which Earth scientists from Utrecht University, among others, together with colleagues from Mexico aim to detect heat which is stored deep underground to make easier and cheaper geothermal energy. The Earth’s crust in Mexico is different to that of the Netherlands. In Mexico, it takes a depth of just one to two kilometers to reach about 130 to 300 degrees Celsius, whereas in the Netherlands it takes at least a depth of 4 km to reach that temperature. The Gemex Project allows for relatively shallow boring to develop knowledge for the development of ultra-deep geothermal energy in the Netherlands at a low cost. It’s been an awfully rough year for Alberta, with the resource-rich province currently grappling with a 31.5 per cent drop in oil prices, 39 per cent increase in unemployment and a quadrupling in the number of abandoned oil and gas wells. But for many advocates of geothermal energy, that particular trio of stats represents a massive window of opportunity for the province, especially when paired with the government’s recent decision to phase out coal-fired power and generate 30 per cent of its electricity via renewables by 2030. In short: retrofit old oil and gas wells to capture geothermal energy, putting thousands of tradespeople back to work, attracting billions in investments and producing baseload renewable power for the entire province. “The market timing is better than it’s ever been, the economic forces are better than they’ve ever been and I think we’re poised for a true boom,” says Sean Collins, partner at Terrapin Geothermics. Just before the start of the GRC Annual Meeting & GEA GEOEXPO+, the GRC Annual Charity Golf Tournament will take place October 23 at the William Land Golf Course just three miles from the conference site. Registration for the tournament is now open. The deadline to sign-up is September 1st. The William Land Golf Course is Sacramento’s oldest golf treasure. In 1911 William Land left $250,000 “to purchase a public park within a suitable distance of Sacramento to be used as a recreation spot for children and a pleasure ground for the poor.” William Land Park was established on its present site in the 1920’s and the golf course was built in 1924. The International Research Institute of Stavanger (IRIS), Norway, is conducting a short survey within the framework of the GeoWell project. The project has received funding from the European Union’s Horizon 2020 Research and Innovation Program under grant agreement no. 654497. The purpose of this survey is to collect and analyze information that can help to map the currently used methods for risk assessment in the geothermal and petroleum industries and more specifically during the drilling and completion, production and maintenance phases. The findings will be communicated to the participants via a planned webinar in Fall 2016. Please take your time to answer this survey that should take no more than 10 minutes to complete. Answers to most of the questions are given by selecting the alternative which best describes your company and its practice. Toronto-based company Polaris Infrastructure Inc. has provided the following update with respect to the San Jacinto geothermal project drilling campaign. 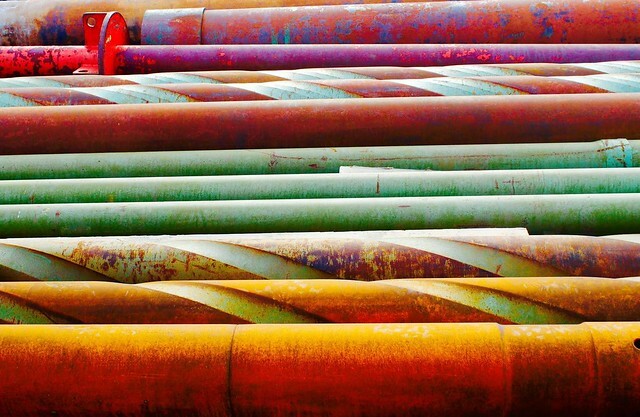 Following the completion of temporary piping and steamfield infrastructure, new production well SJ 9-4 was successfully connected to the San Jacinto plant on the evening of August 24, 2016 and is contributing incremental power generation of approximately 10 MW. In light of temporary operational throughput constraints, we have not yet been able to open SJ 9-4 to 100% of its capacity. We anticipate further opening the well in a phased approach over the balance of 2016, and expect to have relieved throughput constraints following completion of a planned maintenance program in February of 2017. 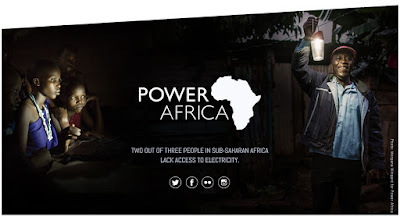 Today, Power Africa announced a new partnership arrangement with the Government of Japan focused on reducing energy poverty and increasing access to sustainable energy in sub-Saharan Africa. The Memorandum of Cooperation (MOC) between the United States and Japan -- signed by the United States Agency for International Development (USAID) and the Ministry of Foreign Affairs of Japan (MOFA) -- includes commitments to share strengths, expertise and resources in an effort to accelerate access to renewable energy in Africa. Power Africa and the government of Japan will collaborate on advancing the geothermal sector in East Africa. Recognizing that geothermal is an integral aspect of sub-Saharan Africa’s renewable energy supply, Power Africa and MOFA endeavor to support sub-Saharan African governments in developing their geothermal potential. Support may include co-leading a stakeholder coordination group, facilitating private sector-led investments, working to improve the enabling environment, and conducting strategic assessments. El ICE inaugurará en 2019 su sétima planta geotérmica –Las Pailas II– y para 2025 planea contar con el aporte del Campo Borinquen, con dos adicionales. Esto aumentará la capacidad instalada actual de 207 megavatios a 372 megavatios. The Instituto Costarricense de Electricidad (ICE) will inaugurate its seventh geothermal plant (Las Pailas II) in 2019. Following that, two plants at the Boriquen field will come on line in 2025. At that time, Costa Rica’s installed geothermal generation capacity will reach 372 MW. Geothermal energy, if properly developed will be able to power the industries in environmentally friendly way and will pave a way to meet the country industrialization objectives as stated in Tanzania Development Vision 2025 and as advocated by President John Magufuli. According to the available geoscientific data and current technology, the crude estimated potential of above 5,000 MW of electricity has been established in Tanzania. The government of Tanzania has already established the Tanzania Geothermal Development Company (TGDC), which is a subsidiary company of Tanesco and is a 100 per cent state-owned agency. The aim of TGDC is to accelerate the development of geothermal resources in the country and to realize its ambitious vision of 2025. However, the current geothermal regulatory framework is not well coordinated. There is still no geothermal policy and no legislation that can link together all the existing structure. Tanzania is set to implement climate change mitigation actions to reduce greenhouse gas emission by 10 to 20 percent by the year 2030 reports the Citizen. The mitigation actions will be implemented in the energy, transport, forestry and waste management sectors, in order to achieve low emission. Tanzania government is looking to reduce emissions in energy by exploring and investing in diversification of energy system to reduce the gas emissions and encourage economic development by making energy more available, affordable and reliable. In addition, there will be promotion of clean energy technologies such as geothermal, wind, solar and renewable biomass. Surmounting political obstacles to policies that have made California a national model on fighting climate change, lawmakers on Wednesday advanced a pair of bills to sustain the state’s efforts to reduce greenhouse gas emissions. 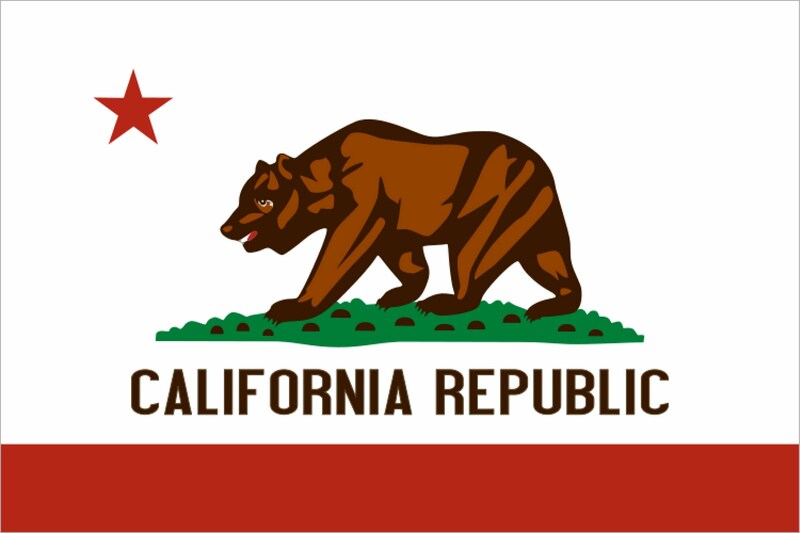 One of the measures, Senate Bill 32, would require California to slash greenhouse gas levels to 40 percent below their 1990 levels by 2030, extending the state’s authority to enact sweeping climate policies beyond an approaching 2020 limit. Brown is certain to sign both. The Geothermal Development Company (GDC) has opened the search for seven senior managers to replace executives kicked out last November mainly over tendering irregularities. The State-owned firm Wednesday advertised all the positions of general managers – despite having sent home five top managers – signalling a major shake-up at the geothermal producer. Location for the 40th GRC Annual Meeting & GEA GEOEXPO+, October 23-26, 2016. The International Renewable Energy Agency (IRENA) is calling for a worldwide Expressions of Interest (EoI) to compile and expand IRENA’s vendors’ database for future consultancy services in renewable energy, which will be utilized by procurement in solicitation for future bidding requirements. Deadline for submissions: 12:00 hrs. Abu Dhabi Local time, 30 September, 2016. 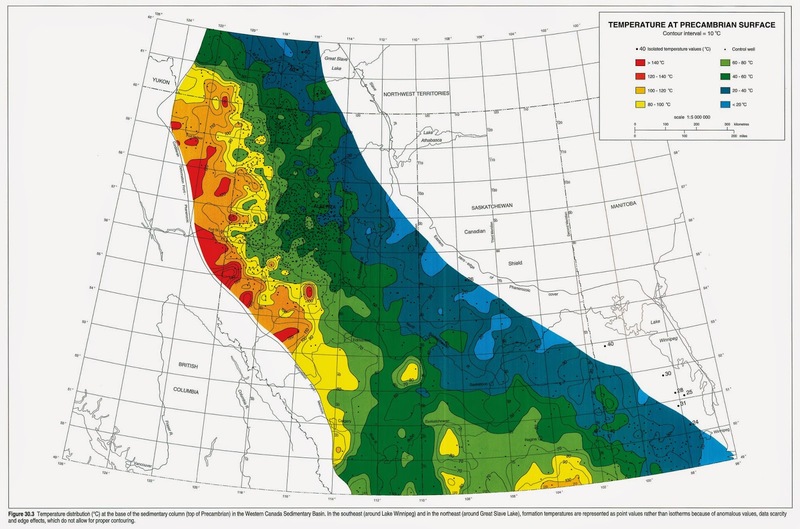 Tiffany Lai combined two seemingly different interests, earth science and design, and created an infographic that took the top prize in a competition offered by the U.S. Department of Energy’s Geothermal Technologies Office in partnership with the Center for Advanced Energy Studies and Idaho National Laboratory. The grand prize awards the team with $2,500 and a trip to Sacramento, Calif., to attend the Geothermal Resource Council’s 40th Annual Meeting, where they will present their infographic. Of this trip, Lai stated, "My team and I are so excited and honored to attend the Geothermal Resource Council Annual Meeting in October. I really hope to learn more about geothermal energy and its benefits, as well as interact with those who are knowledgeable about this topic. The convention will have lectures and workshops about different aspects of geothermal energy, so I hope it will be a great opportunity to connect with people, learn, and have fun." The Ministerio de Energía y Minas República del Perú has announced a series of meetings on developing geothermal energy in Peru. They will be held in Lima, Arequipa, Moquegua and Tacna from September 8-29. The meetings were requested by the company EDC Peru Holdings a 100 percent owned subsidiary of Energy Development Corporation Hong Kong Limited and will bring together specialists in geothermal energy to talk about the future prospects of energy development in the country. Phinma Energy Corp. said on Tuesday that it obtained regulatory approval to change its name from Trans-Asia Oil and Energy Development Corp. to Phinma Energy to better reflect its current activities. The listed company received the approval on Aug. 22, 2016 from the Securities and Exchange Commission (SEC) or about four months after its majority shareholders approved the change in name during the annual meeting on April 12, 2016. Trans-Asia has partnered with Petrogreen Energy Corp. and PNOC Renewables Corp. in the 20 MW Maibarara Geothermal Inc. consortium, whose expansion will deliver an additional 12 MW of power by next year. The company has a 25% stake in the geothermal project. Don't miss out on the early bird discount and register for the largest annual geothermal conference in the world, the GRC Annual Meeting and GEA GEOEXPO+.